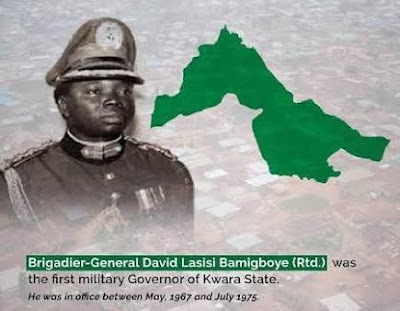 The first military governor of Kwara state, retired Brig.-Gen. David Bamigboye, is reported dead. The younger brother to the deceased, retired Col. Theophilus Bamigboye, confirmed the death to the News Agency of Nigeria on Friday on the telephone. NAN reports that the deceased was born on December 7, 1940, and was the military governor of Kwara between May 1967 and July 1975.